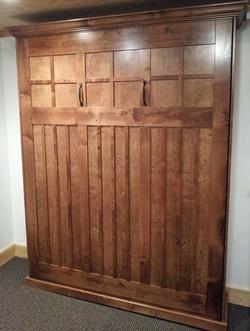 Our vertical queen "Craftsman" style bed. Finished in a light Walnut wood stain. BEAUTIFUL!